Autism Spectrum Disorder (ASD) is a term to used to describe a range of traits and conditions that present in certain children. Common Terms sometimes used to explain these specific conditions include Autism, Aspergers or sometimes you may hear terms like Sensory Processing Disorder, Global Developmental Disorder and others that are used to describe traits within these conditions. Autism Behavioural Support Queensland for Applied Behavioural Analysis support, as well as providing an awesome toy and book resource library. Brisbane Support Groups for Autism Because autism is a challenge best met with friends and supporters. AEIOU Foundation: Creating a lifetime of opportunities for children with autism AEIOU Foundation provides leading early intervention and care to children with autism aged 2 – 6 years. The Lowrie Family | An AEIOU Foundation Family Case Study For retired NRL premiership winner Todd Lowrie and wife Sally, their son’s first day of school was a day they had originally envisaged very differently, had it not been for AEIOU Foundation. You have a diagnosis and are seeking more information and more support. Visit your GP and get a referral to a paediatrician. Visit websites like raisingchildren.net who will offer information on traits you might want to be looking for. A paediatrician, psychiatrist, psychologist or another trained professional in ASD can diagnose a child with ASD. So you child has been diagnosed with ASD- What next? Check out all the different Therapies related to Autism available to you. This will include speech therapist, occupational therapists and psychologists. 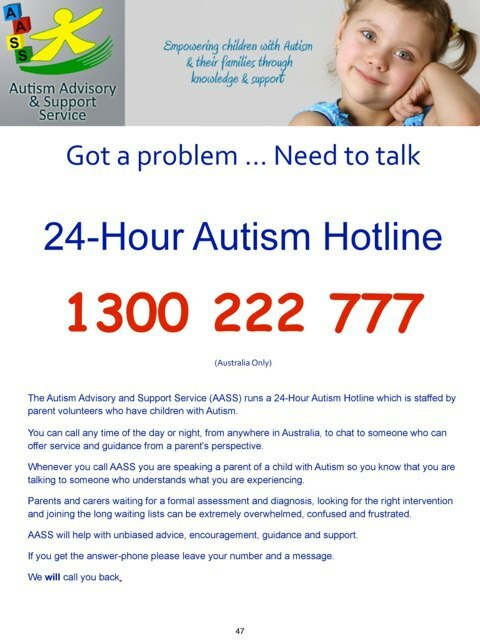 Have a look at the different early intervention programs available through organisations like AEIOU and others you can find via Autism Queensland. Explore your funding options – find out what you can and cant claim for. Be clear about that and really maximise these funds.